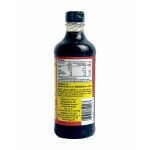 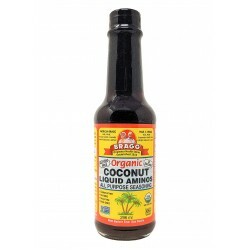 Bragg Liquid Aminos is a savoury liquid protein concentrate derived from healthy non-GMO soy-beans. 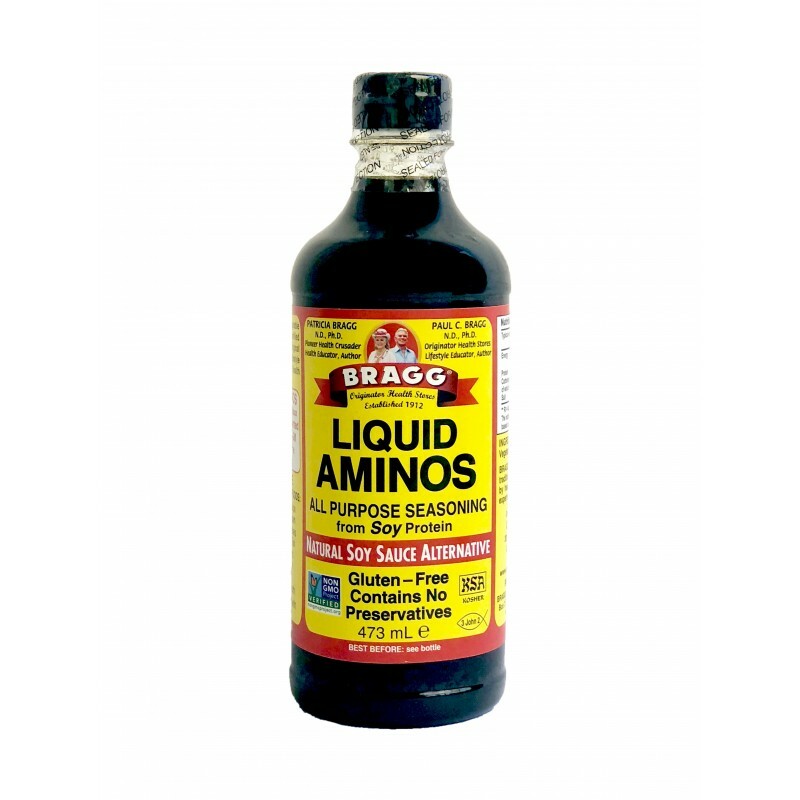 As well as being delicious, It is a naturally occurring source of the amino acids we need to keep our bodies functioning properly. 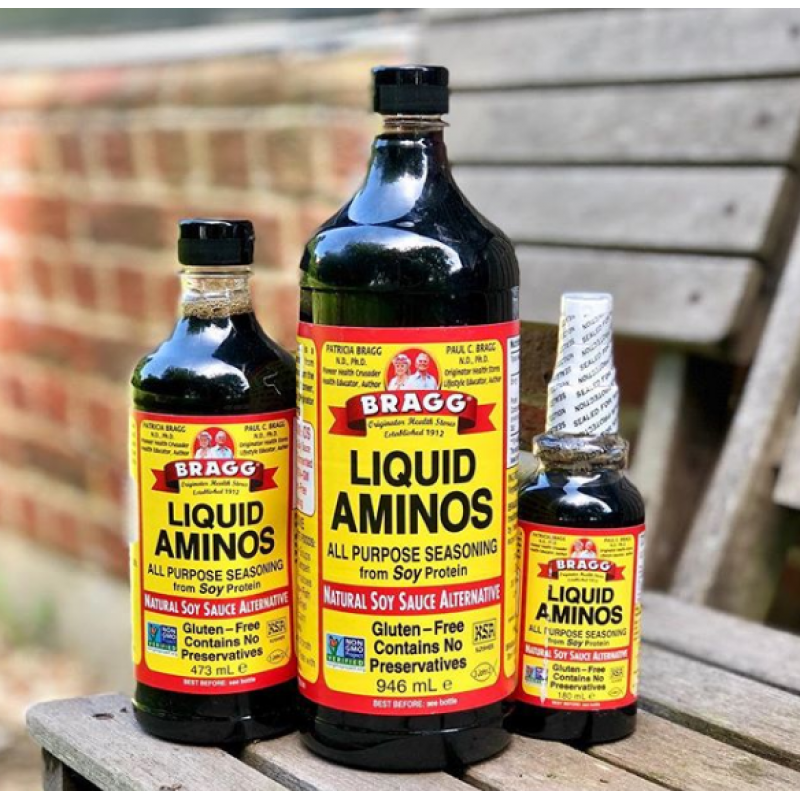 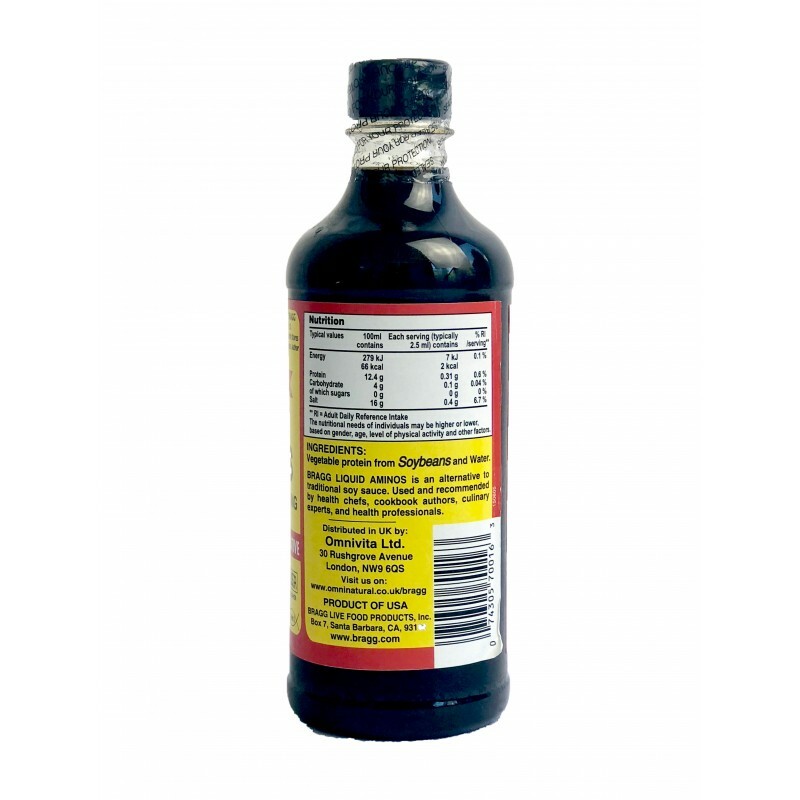 If you've been searching for a healthy, tasty gluten-free alternative for soy sauce and tamari, look no further than Bragg liquid aminos! 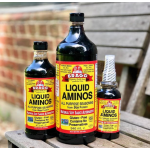 Alcohol free, organic and kosher, liquid aminos complement a huge range of dishes, including soups, salads, sauces, stirfrys, grilled meat and fish, tofu... even popcorn! 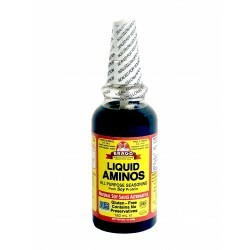 Grab yours today to liven up mealtimes and boost your amino acid intake! 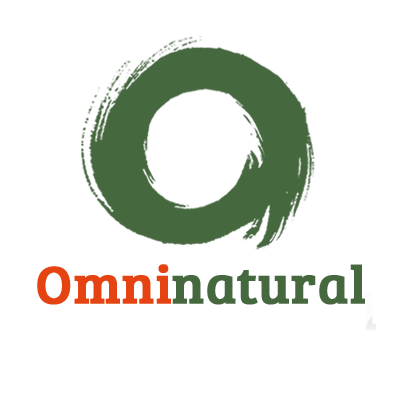 And because Omninatural is the sole UK distributor of Bragg, we deal in bulk and can offer the best lowest prices on the market. 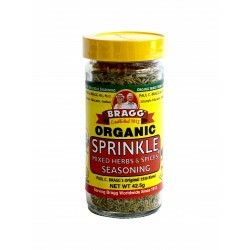 Organic Herb and Spice Seasoning First formulated 50 years ago, Bragg Sprinkle All Natural Herb ..
A gourmet Soy-free Alternative to Soy Sauce. 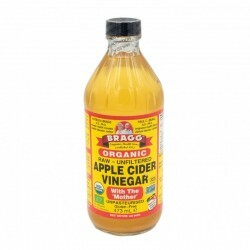 This seasoning is made from Organic Non-GMO Coconut Blo..